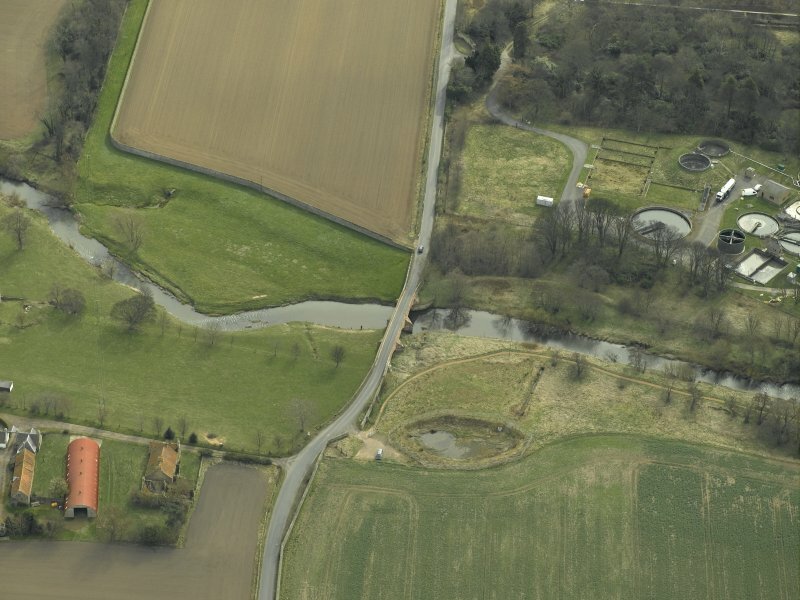 Oblique aerial view centred on the road bridge, taken from the ESE. 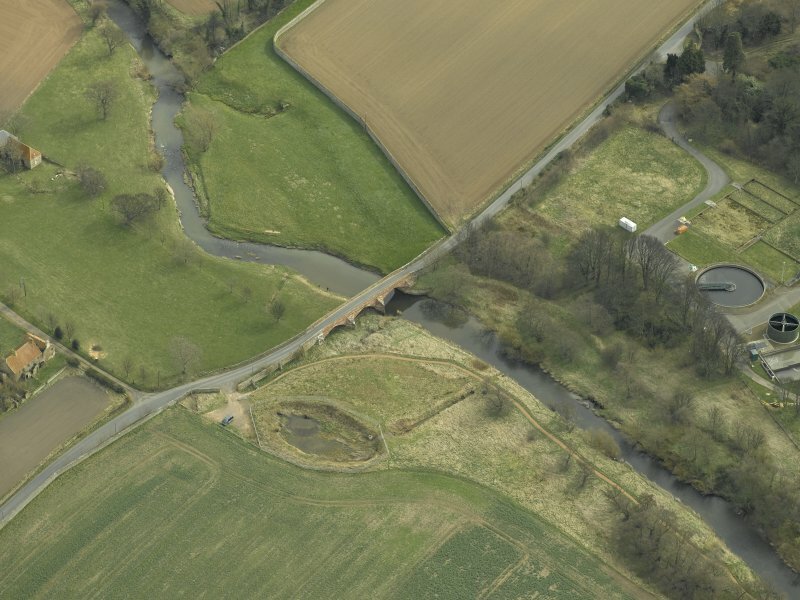 Oblique aerial view centred on the road bridge, taken from the NE. 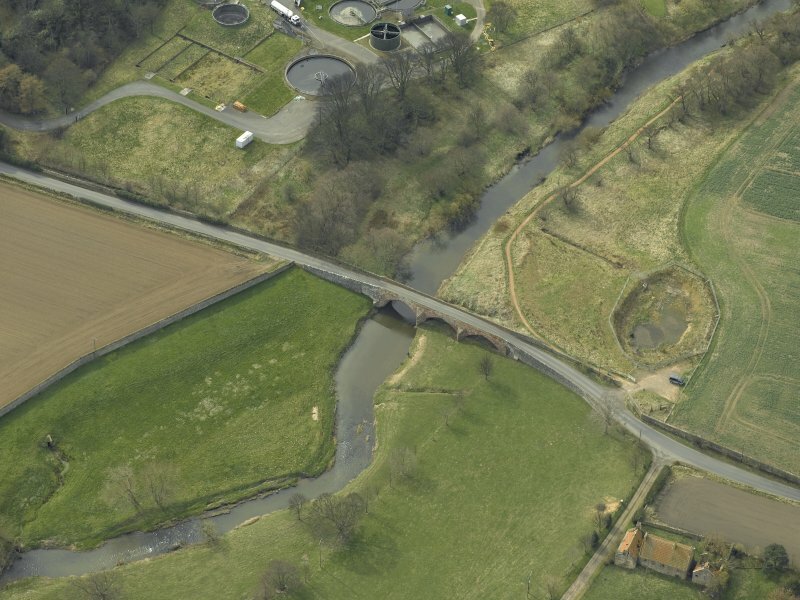 Oblique aerial view centred on the road bridge, taken from the WNW. 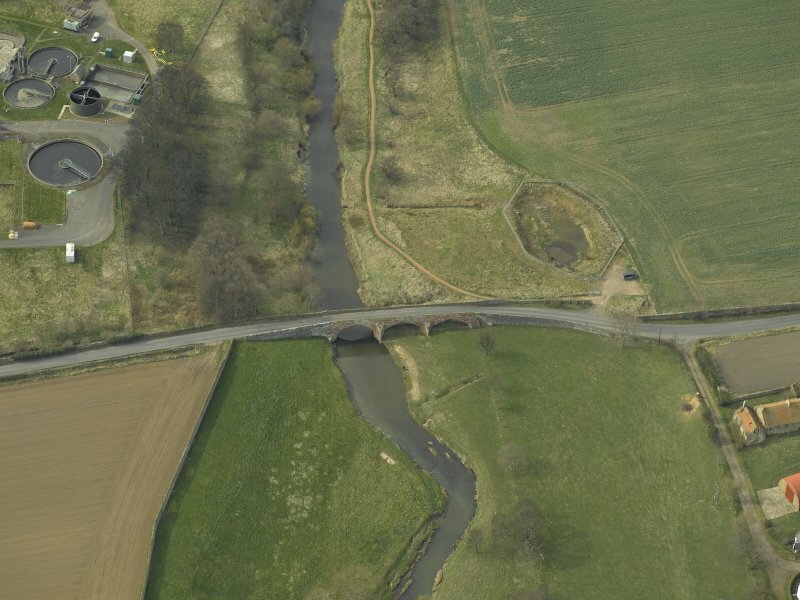 Oblique aerial view centred on the road bridge, taken from the NW. 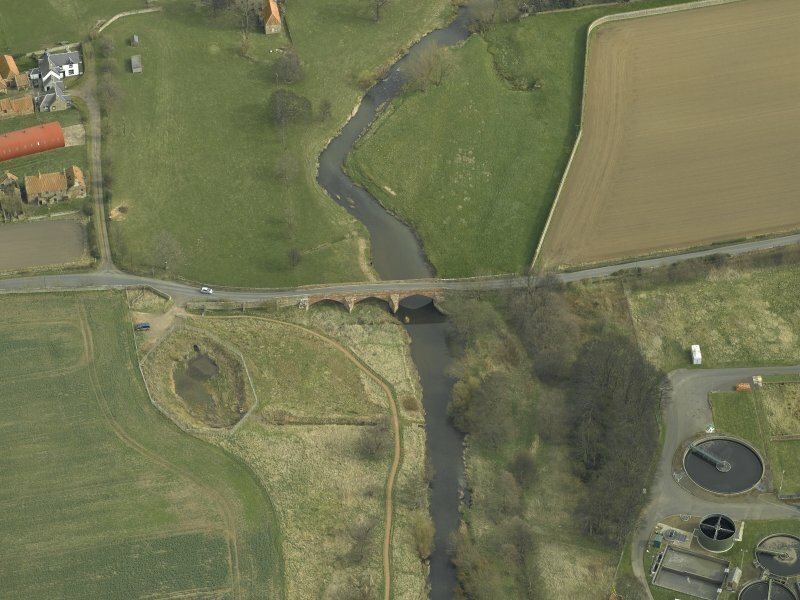 Oblique aerial view centred on the road bridge, taken from the WSW. 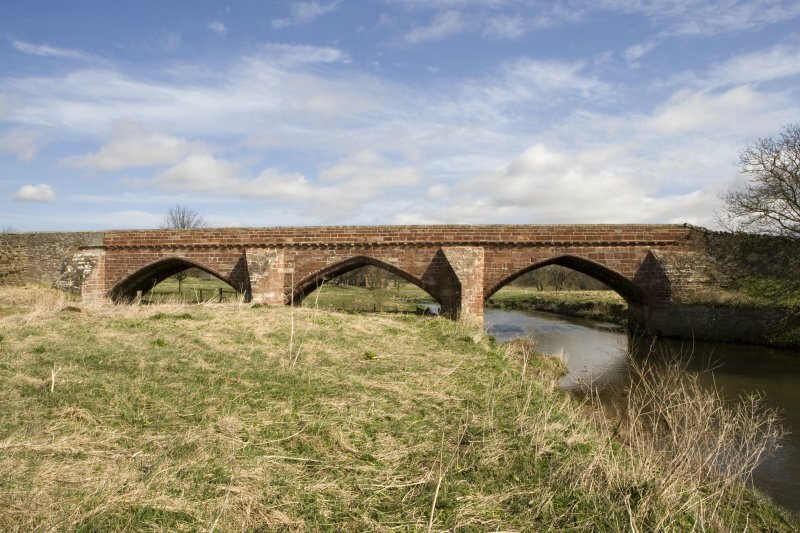 Abbey Bridge is an early 16th century structure with a total span, on three pointed drop-centred arches, of 131ft, and is 16ft wide. 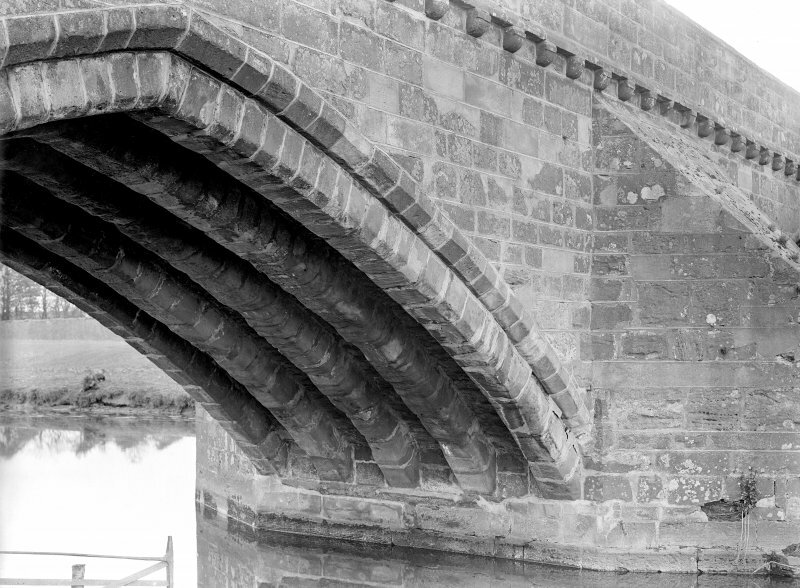 A panel over the S arch records, with indecipherable date, that the bridge was repaired; on the W coping the incised date '1870' probably records a later repair. As described above. Only the southernmost of the three arches now spans the river. Visited by OS (BS) 7 July 1975. (Location cited as NT 533 476). 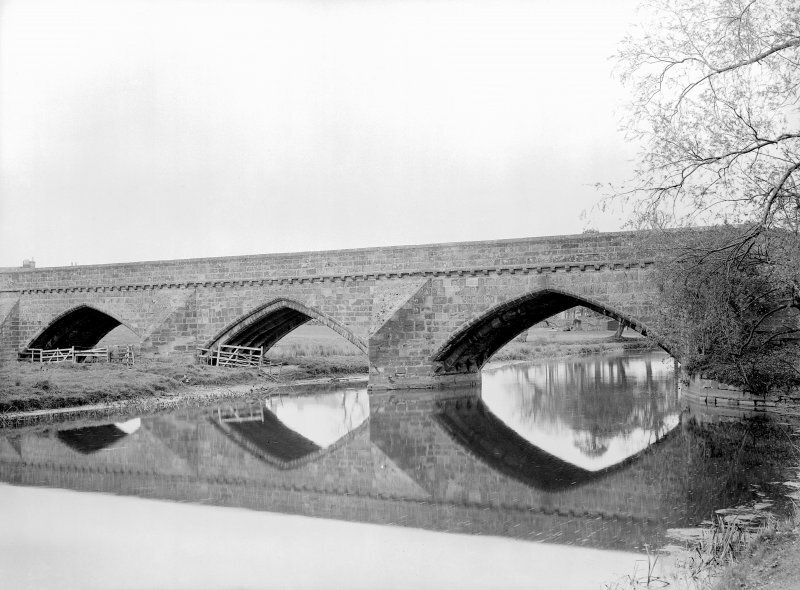 Abbey Bridge, 16th century. 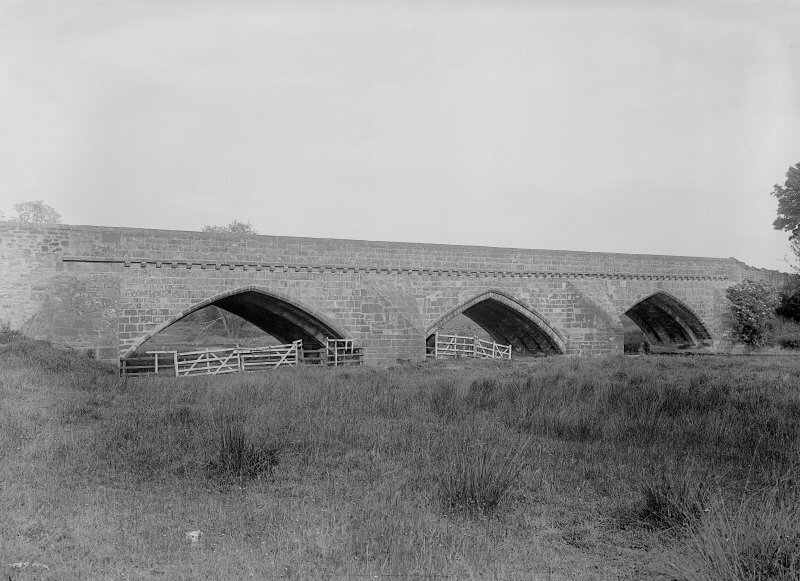 A fine 3-span bridge with pointed arches and triangular cutwaters. 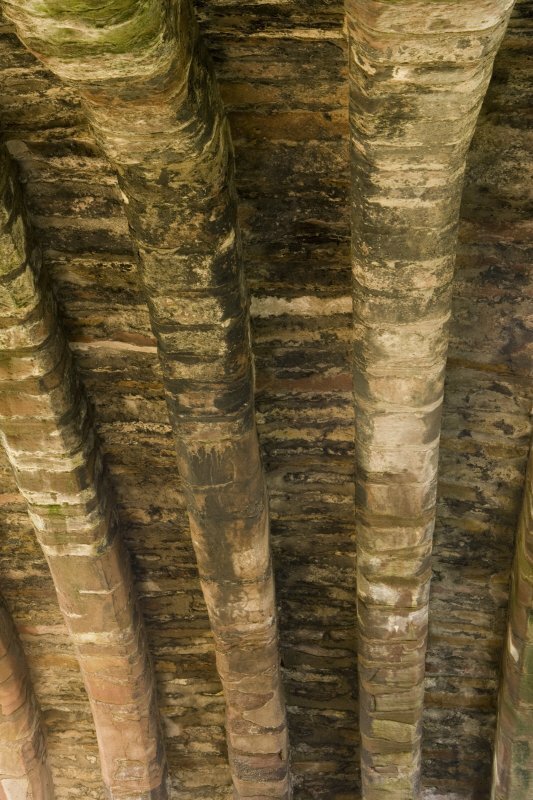 The voussoirs are dressed stone and the rest of the masonry is rubble. NT 5331 7453. A watching brief was undertaken by Kirkdale Archaeology in January 1996 during the excavation of three test pits on the top of the bridge. 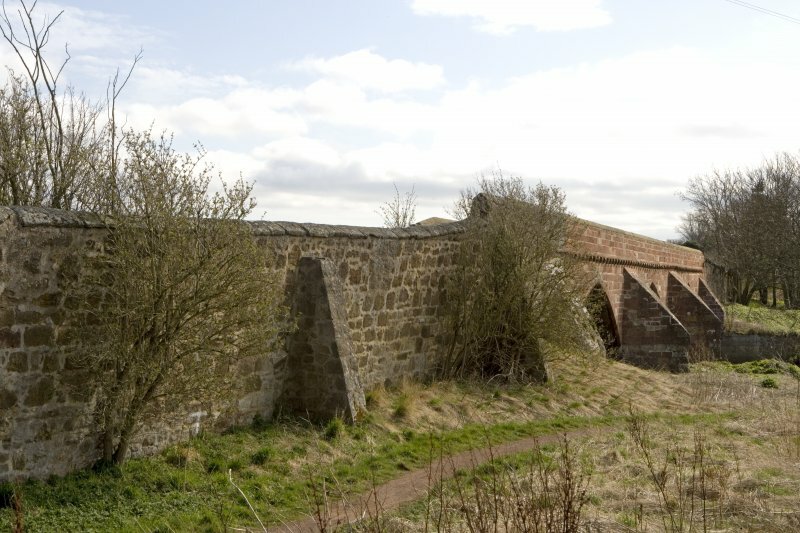 The bridge spans the Tyne, approximately 1km E of Haddington, and features three drop-centred arches. 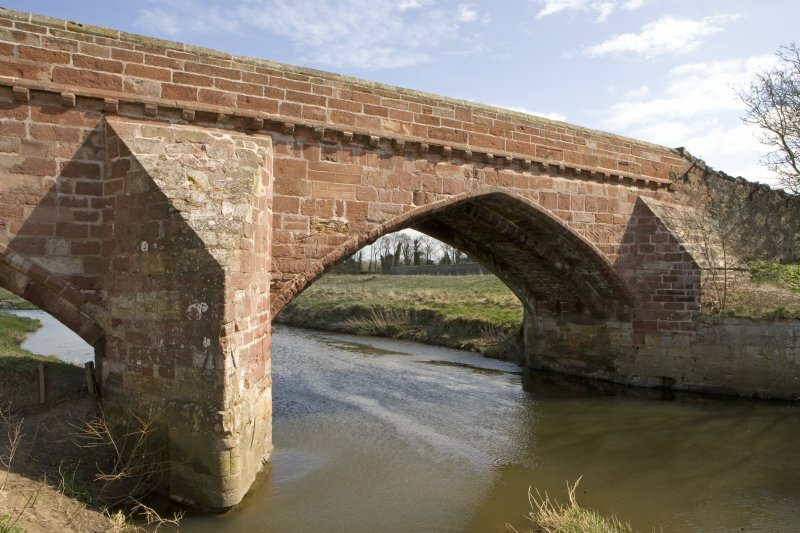 Monitoring revealed the substantial construction of the late medieval bridge, which was constructed of large sandstone blocks. A former surface, beneath the present tarmac road, was located in one of the pits. This surface did not survive in the other two pits, where the road directly overlay the original masonry. Three phases of construction and repair were recorded, and a graphic and photographic record was made. G Ewart and D Murray 1996. (Former scheduling no. 781). 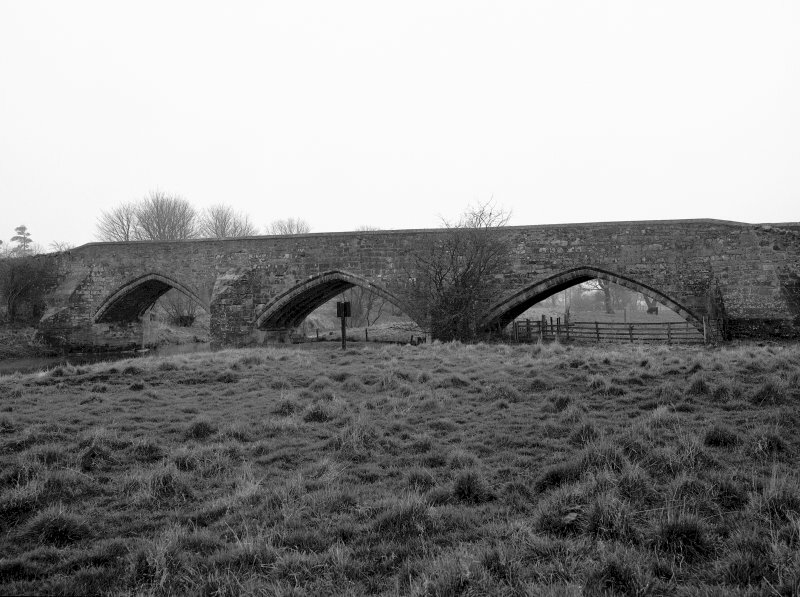 Haddington, Abbey Bridge. Descheduled. Information from Historic Scotland, Certificate of Exclusion from Schedule dated 28 February 2000. 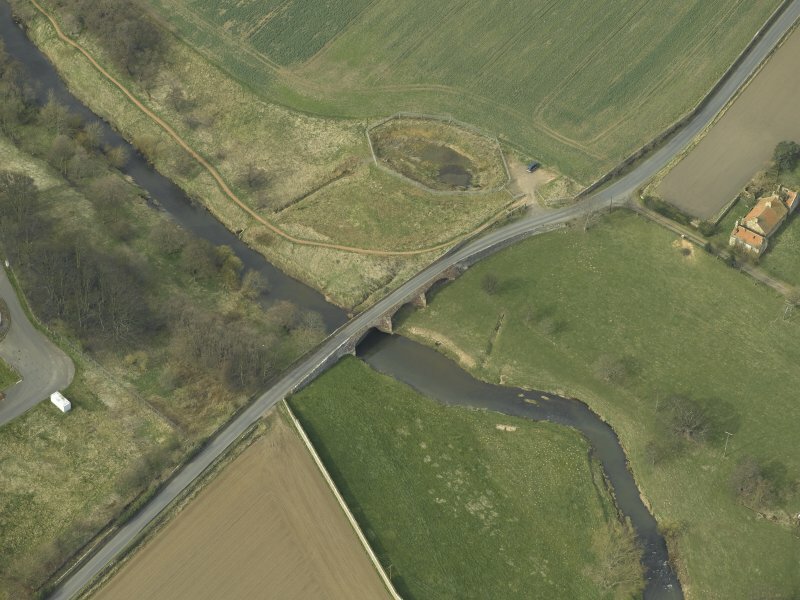 This bridge carries an unclassified public road over the River Tyne about 2km below (to the ENE of) Haddington (NT57SW 65), and to the SW of Abbeymill Farm (NT57SW 37.00). 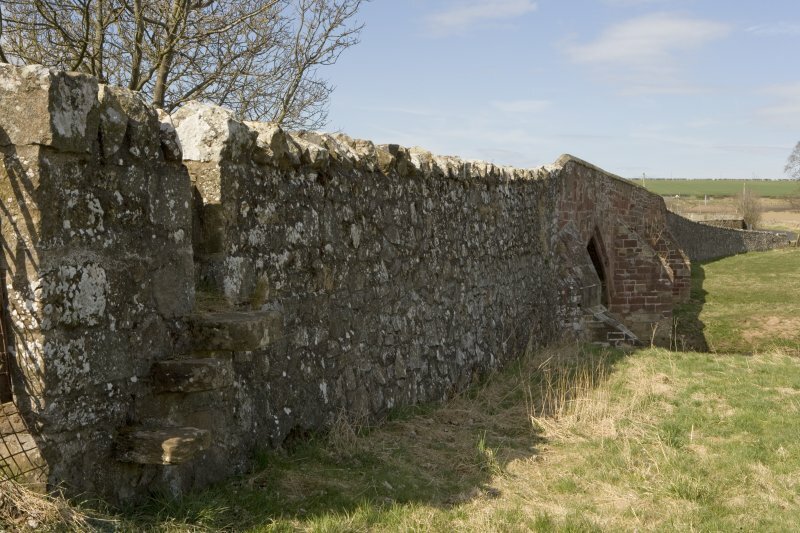 Information from RCAHMS (RJCM), 7 March 2006. 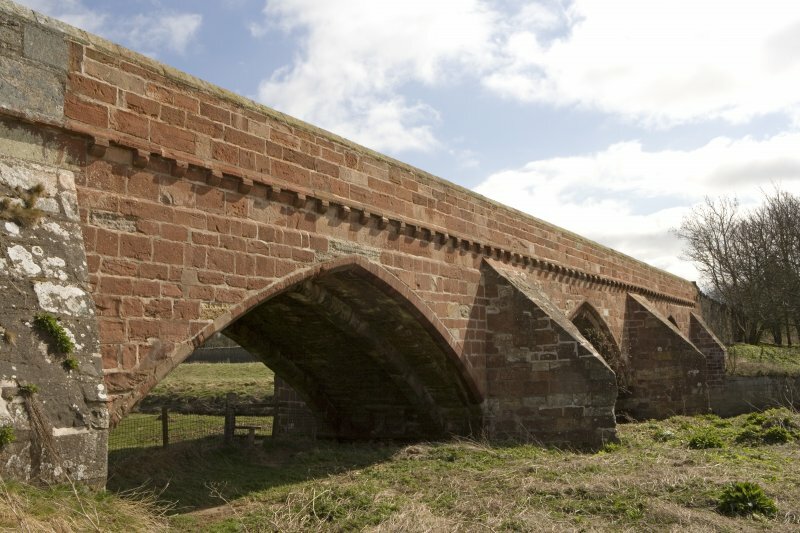 A masonry bridge with three pointed arches over the Tyne dated by Inglis to the 1440 to 1540 period, probably early- 16th century. 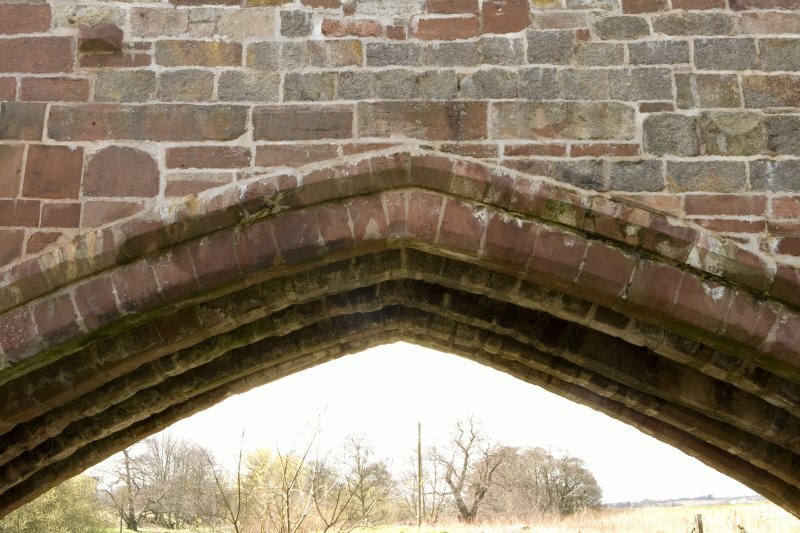 Each arch is of about 37 ft span and originally had five masonry ribs 18 in. broad with chamfered edges, some of which have been cut away on each side arch without apparently affecting stability. The ribs were built first, and then slabbed over transversely. The width is 1312 ft between parapets and 16 ft overall. 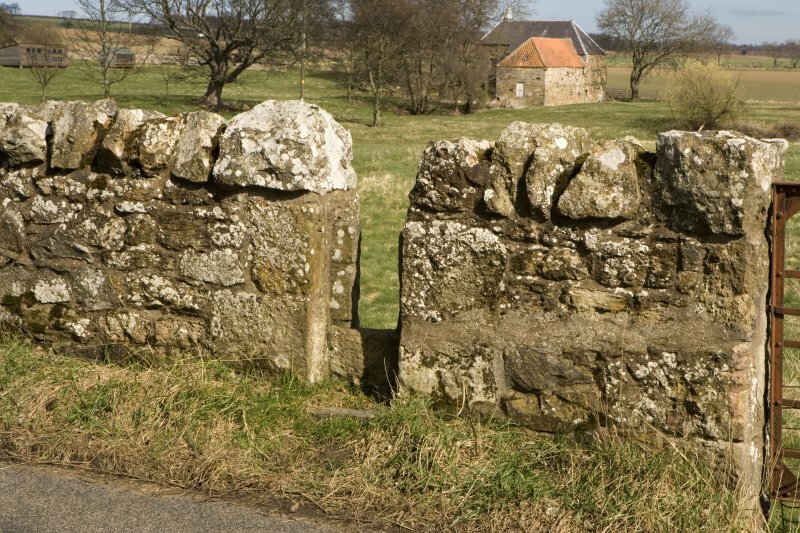 The west side has been rebuilt in a different style and probably at a later date with slight corbelling and a string course at road level. 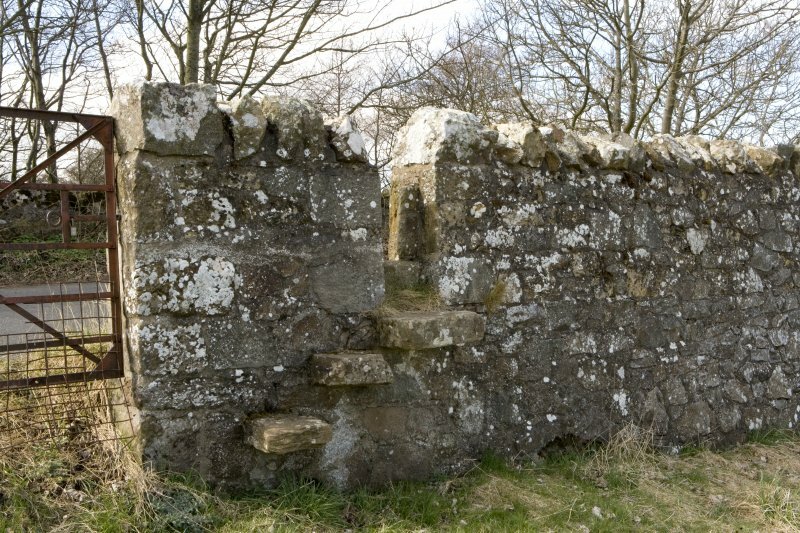 An inscription of 1870 on the west coping probably indicates a repair date. 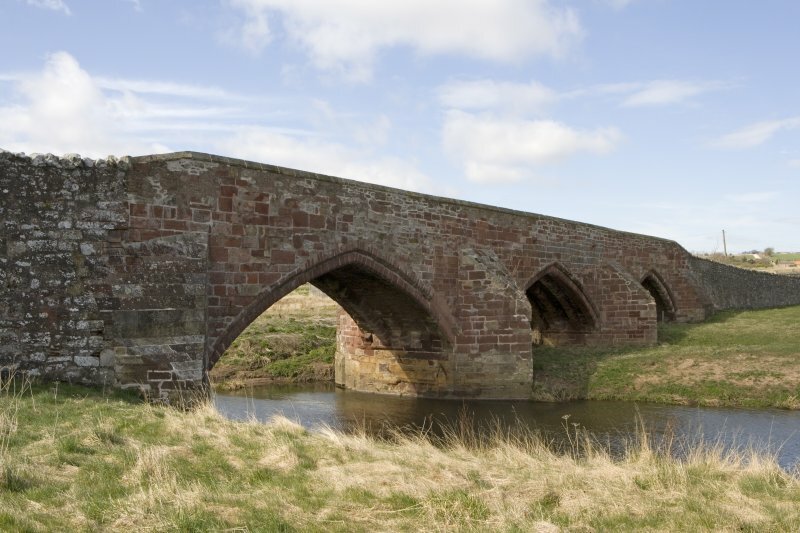 The bridge was probably financed by pre-reformation churches or abbeys. The bridge is well maintained and in regular use for local access. Reproduced from 'Civil Engineering heritage: Scotland - Lowlands and Borders' reporoduced by kind permission from Thomas Telford Publishers.